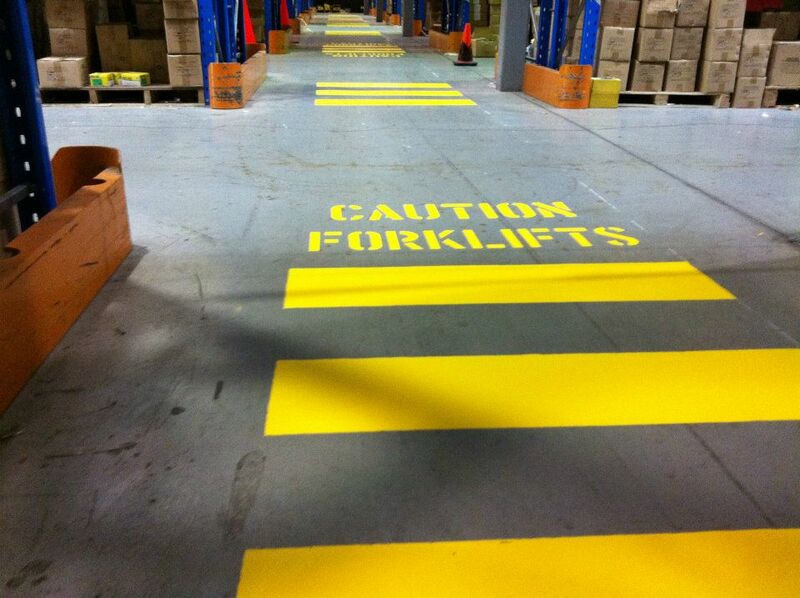 Warehouse safety line markings and safety signs are the first steps in safeguarding your workforce from risks at work. Identifying safe walkway routes, hazards and workplace dangers reduces the number of potential issues that can arise. 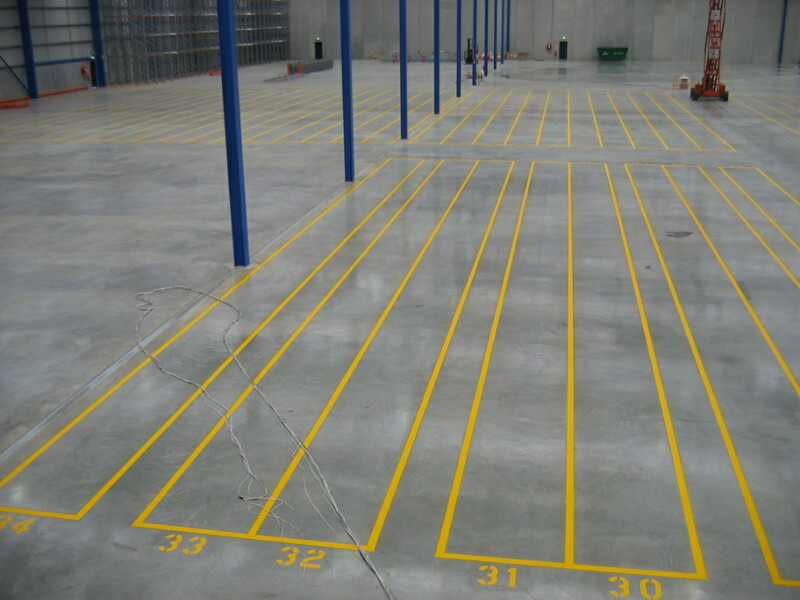 Here at Ultra Linemarking we have over 17 years experience in painting warehouse safety line markings. 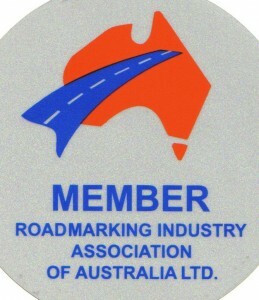 Teamed up with your company we can help to provide the best traffic/safety management plan for your company. Make your site a safe environment and conform to Work, Heath & Safety rules. 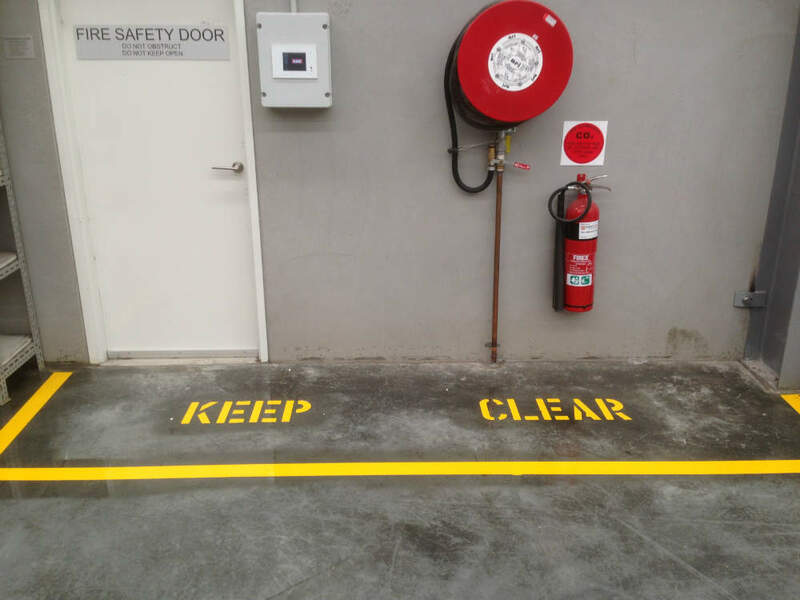 With clear safe walkways & by clearly marking any areas to be kept clear or areas for storage. 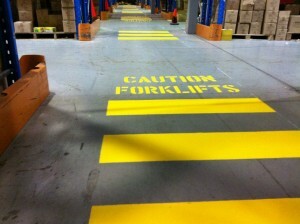 Safety lines, walkways, pedestrian logo, forklift logo, stencilling, pedestrian crossings, hatched areas. 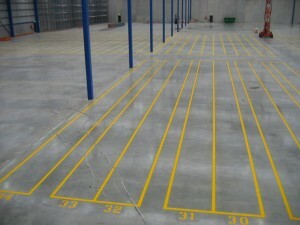 These are just a few of the line marking services that Ultra Linemarking can provide. Are aisles and passageways kept clear? Are aisles and walkways marked as appropriate? For your obligation free quotation contact us today. 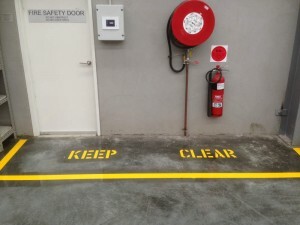 Did you know Ultra Linemarking can also supply other products such as Bollards & Speed Humps? Click Here for more information.